Art for All is an arts advocacy organization focused on art education and is a part of the Georgia Art Education Assocation District 5. Attendance at monthly meeting and invovlement is open to all art educators in Clayton, Henry, Fayette, Spalding, Butts, Pike, Lamar, Jones, Bibb, Twiggs, Peach, Crawford, Monroe or Houston counties. Members of the public interested in art education for all ages are invited to attend. We are a collaborative effort with leaders in the Arts Industry, Regional Advisory Council Region 5, Tourism, NE GA Development Center, GDEcD, area chambers of commerce, area CVBs, local governments and interested citizens. Bike Walk Macon is Macon-Bibb, Georgia’s first grassroots bicycle and pedestrian advocacy group working to enhance mobility to create a more vibrant, healthy, and equitable city. Bike Walk Macon was initially supported by the 8 80 Cities Emerging City Champions fellowship program, which is funded by the John S. and James L. Knight Foundation, in July 2015. Through community leadership and inclusive engagement, Bike Walk Macon has become the city’s voice for all things biking and walking. We seek to make active transportation an option for all Maconites, no matter where they live or where they’re trying to go. We work to make our transportation network support active living and additional commuting options. Career Women’s Network of Macon is an organization whose purpose is to bring together women of achievement and influence to network ideas, experiences, and resources, and to solidify relationships that can enhance the image and effectiveness of women. Career Women’s Network of Macon aims to provide a strong network of professional contacts. The organization promotes and encourages members to become effective and visible community leaders; it also supports continuing education and professional development of women. One of the main objectives is to acknowledge the achievements and contributions of professional women in the community. We invite you to visit us or attend an event. Our members are more than happy to answer any questions you may have about the organization and how you can join. 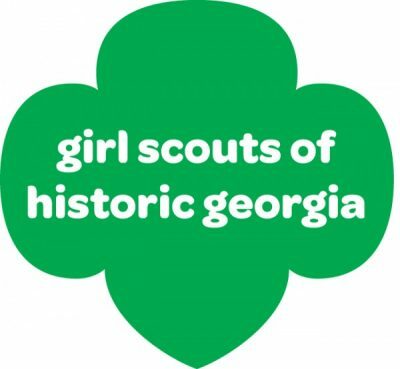 The Central Georgia Genealogical Society is a 13 county, middle Georgia, non-profit which provides monthly programs, networking, and other activities related to genealogy research. Monthly meetings are held at the Flint Energies Building on Hwy 96, Warner Robins. GA.
We are a group of 20 or so, eclectic artists that share a common interest. We all love to create art! We open our spaces on the first Friday of every month to the general public as an "open house" / informal exhibit. 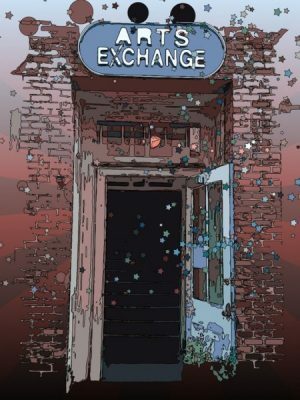 We have "members only" exhibits on the first Friday in May and in November. All of the artists are there and have their studios open. We also have an area where we exhibit guest artist’s work for any of the other First Fridays in the year. The building that houses our studio areas is older and is owned by one of Macon’s leading restoration champions. Diversity Assets is a privately held firm focused on community transformation and social justice initiatives. Shaped by Dr. Martin Luther King Jr.’s prophetic notion, we believe “the arc of time bends toward justice.” Diversity Assets is pursuing a more just world & the building of the beloved community. Through our suite of original ventures, community engagement, client driven resources, a sustainable approach to collaborative community progress is pursued. Diversity Assets Initiatives include: Original ventures: Curriculum design & publishing Conference / forums Regional tours Non-profit incubator [in development] Just Travel TM The King Season TM Essential Education TM Community engagement: Volunteer access Civic support Non-profit advocacy City center public space [in development] Access Art TM Client driven resources: Custom consulting Value added training Turn-key conferences / forums Grant support / implementation 501(c)-3 design-build Functioning with expertise, leadership, and access. Founding president / C.E.O. Cameron Pennybacker brings more than 21 years experience in transformative community initiatives. Coupled with an exceptional cadre of local, national, and international partners, Diversity Assets carries both a global reach and a local perspective in the education, healthcare, financial, housing, and government sectors while positively impacting the arts, faith, non-profit, and philanthropic communities. Through Diversity Assets Initiatives, we are living into our core belief that so many of our differences are not to be ignored as liabilities, but respected as assets. Consequently, our communities are stronger when we claim our variety and work collaboratively to overcome historic divisions. Headquartered in Atlanta | Macon, Georgia Diversity Assets continues to make a particularly strong local investment. Our middle Georgia initiatives reflect Diversity Assets’ continuing commitment to the communities in which we live. Within walking distance to business, government, nonprofit, religious, and arts centers, our downtown Macon offices (opening Nov. 13, 2012) reflect our persistent commitment to city center progress. The mission of the Friends of the Macon-Bibb County Libraries is to promote interest in, use of, and public support for the libraries in Macon and Bibb County, and to volunteer our time and resources to help provide high-quality library services, books, and materials for our community. The Georgia Allman Brothers Band Association (GABBA) was formed in 1992 to preserve and promote the history and legacy of the Allman Brothers Band in Macon and in Georgia. GABBA hosts the annual GABBAfest, a musical festival that draws fans from all parts of the world to Macon. GABBA is a member of the Macon CVB. Crawford County was a major pottery center in the 1800s and into the 1930s. “Jug makers” from the Long, Merritt, Becham, Averett, Yaughn, Marshall, Bryant, Pyles, and other families shipped their churns, storage jars, jugs, bowls, pitchers, chicken waterers and ant traps all over the Southeast. The county’s clay is still prized today by folk and studio potters In celebration of the pottery-making heritage of Crawford County, the 8th annual Georgia JugFest and Old Knoxville Days, offers a look back to a time when folks learned life skills necessary to provide comfort to their existence. This Middle Georgia festival features the best of those long ago skills that evolved into talents for creating works-of-art that are still sought after today. Come join us on Friday, May 18, 2012 and enjoy our Lunch and Learn event which includes a pottery identification by renowned pottery experts, the Peaches, Pork, and Beef Cook-off, a Silent Auction and a spectacular Quilt show. On Saturday, May 19th, we have a full day of fun with pottery and handcraft sales, heritage skills demonstrations, hit and miss engines, a quilt show, Children’s activities, historic building tours and exhibits, student art show, live musical entertainment, lawnmower races, and a pottery auction. The Crawford County Historical Society’s festival proceeds are designated for development of the Old Courthouse Cultural Center which will include the Middle Georgia Folk Pottery Museum. Proceeds from Roberta-Crawford County Chamber of Commerce activities are used for community and economic development. 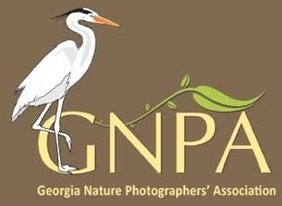 The GNPA is a growing club of nature photographers that covers Georgia and includes members in 3 states. It is dedicated to helping nature photographers of all skill levels improve their photography, learn and grow, meet other outdoor photographers, participate in great trips and events, help others understand the value of the natural world and give focus to a special area of interest in photography. The Girl Scout Program is girl-driven, reflecting the ever-changing needs and interests of today’s girls. Girls discover the fun, friendship, and power of girls together. Girls learn the importance of personal responsibility, the value of goal-setting, the spirit of teamwork, and the thrill of accomplishment.What is Girl Scouts? Girl Scouting is for every girl, everywhere—where today’s girls can become tomorrow’s leaders. Membership in Girl Scouts is open to girls ages 5-17; women and men over 17 can join as adult members. The Greater Macon Chamber of Commerce, as a counterpart of her sister organizations in other cities and states, is an organization through which the voluntary manpower of our community works effectively to make the Macon region a better place in which to work and enjoy living. We are affiliated with the Barbershop Harmony Society, the largest all male a cappella singing organization in the world. Dedicated to harmony, fun and fellowship. We practice most Monday evenings form 7:30pm – 9:30pm. The Historic Heartland Community Orchestra is an intergenerational group of volunteer musicians who are committed to providing performance opportunities and concert experiences to orchestral music enthusiasts of all levels and abilities within the Historic Heartland region of Georgia. Membership Anyone who plays a traditional orchestral instrument is invited to be member. There is no audition, but members must read music. There will be a monthly fee of $15 to participate to cover costs such for music, rehearsal space, etc. There will also be several opportunities to offset this cost. 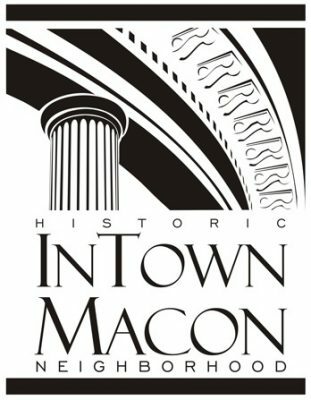 The InTown Macon Neighborhood Association (IMNA) exists to preserve, protect, and enhance the beauty, integrity, and safety of the Macon, Georgia (USA) historic residential area. Mission The InTown Macon Neighborhood Association works to protect and improve the quality of life for residents. We offer many social activities for our members, but we also work to preserve and enhance the historic residential character of our neighborhood. Through our Historic Development Committee, we advocate appropriate and sensitive development in our district and its surroundings. Preserving jazz through participation, education, and inspiration! 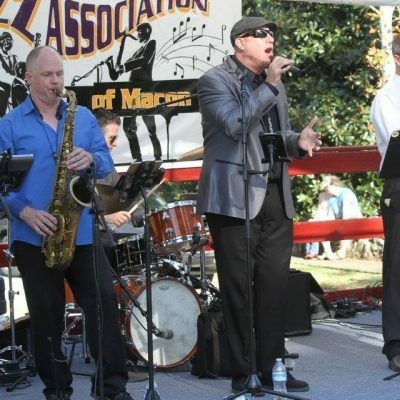 From local artists who represent Macon’s great jazz spirit to nationally known musicians from across the country, the Jazz Association of Macon, since its conception in 1986, provides Macon and Middle Georgians with the opportunity to enjoy the finest in jazz. The purpose of the Jazz Association of Macon is to nurture the growth and enhancement of jazz music as an American art form by providing information and services to individuals and organizations committed to the creation, performance, instruction, presentation, and preservation of jazz music. The Junior League of Macon is an organization of women committed to promoting voluntarism, developing the potential of women, and improving the community through effective action and leadership of trained volunteers. Through concentrated volunteer efforts, The Junior League of Macon, Inc. will be a significant force in improving literacy and school readiness in the Middle Georgia community through school partnerships, education, fund raising, advocacy, and hands-on projects. 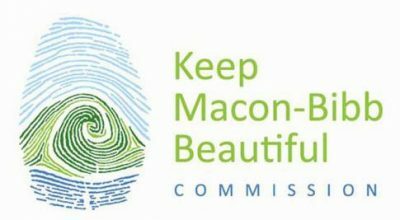 The Keep Macon-Bibb Beautiful Commission is comprised of a member appointed Board of Commissioners representing all areas of the city and county. An affiliate of Keep America Beautiful and Keep Georgia Beautiful, this 501 (c) 1 designated non-profit organization works in partnership with the City of Macon Public Works, Bibb County Engineering Department, Code Enforcement, state and federal litter enforcement, green space maintenance agencies, private industry and local community groups. We implement programs for improvement and work together to encourage behavioral changes that result in a cleaner, greener Macon Georgia. 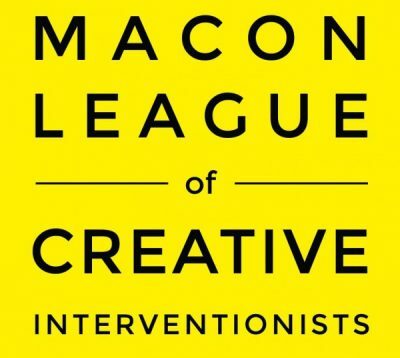 The mission of the Macon Arts Alliance is to foster and support the advancement of arts and culture in Central Georgia. We are working to create an environment where arts and culture thrives and Central Georgia is recognized as an unparalleled cultural destination. 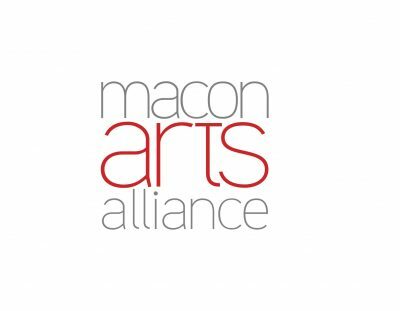 Macon Arts Alliance is a nonprofit organization that was founded in 1984. Since then we have worked to support, promote and advocate for the $18 million arts and culture industry in Macon-Bibb County and throughout Central Georgia. 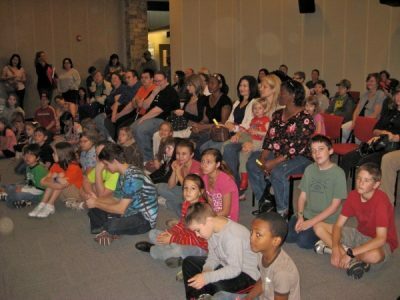 We serve more than 60 arts and cultural organizations and the fine arts programs of five universities throughout the mid-state, reaching an audience of more than 500,000 people. The Gallery at Macon Arts Alliance exhibits and sells work by more than 100 fine artists from throughout the state of Georgia. The central gallery exhibits a new show each month with First Friday Opening Receptions each month from 5 to 8 p.m. Admission to The Gallery is always free and open to the public. 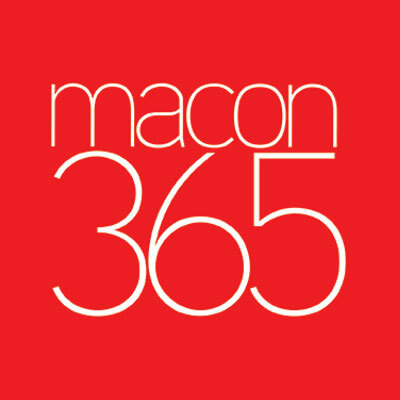 Founded in 1933, Macon Concert Association is one of Macon’s oldest arts organizations and continues a tradition of bringing world renowned classical musicians to the Middle Georgia audience. Performances have ranged from symphony orchestras and dance companies to recitalists and chamber ensembles. 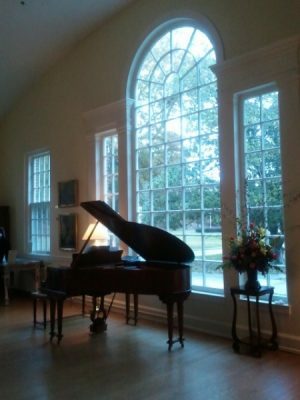 The current focus of the organization is to present small chamber ensembles and recitalists in the intimate setting of Burden Parlor on the Wesleyan College campus. Occasional events are held in Porter Auditorium, also on the Wesleyan College campus. The season typically consists of four concerts with subscription tickets and individual event tickets available to a variety of performances such as string quartets, pianists, vocalists, and classical guitarists. The League of Creative Interventionists is a global network of people working to build community through creativity. We create shared spaces and experiences in public space that break down social barriers and catalyze connections between people and communities. The Macon Chapter was established in March 2014. 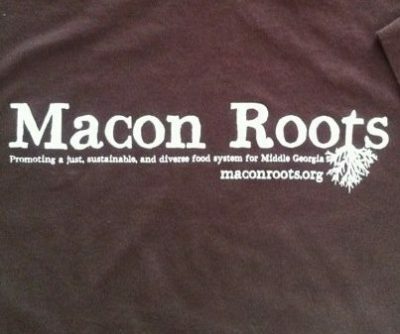 Macon Roots is non-profit established in 2010 to promote a sustainable food system in Macon and Middle Georgia by celebrating the local food cultures, supporting food and garden education programs, creating networking opportunities in the local food system, and increasing availability of locally grown food for all Middle Georgians. Homeschool Organization supporting homeschool families in the Middle Georgia area.